These free, printable baby shower games range from the classic baby shower games that everyone loves to some unique games that will really make the shower feel fresh and interesting. 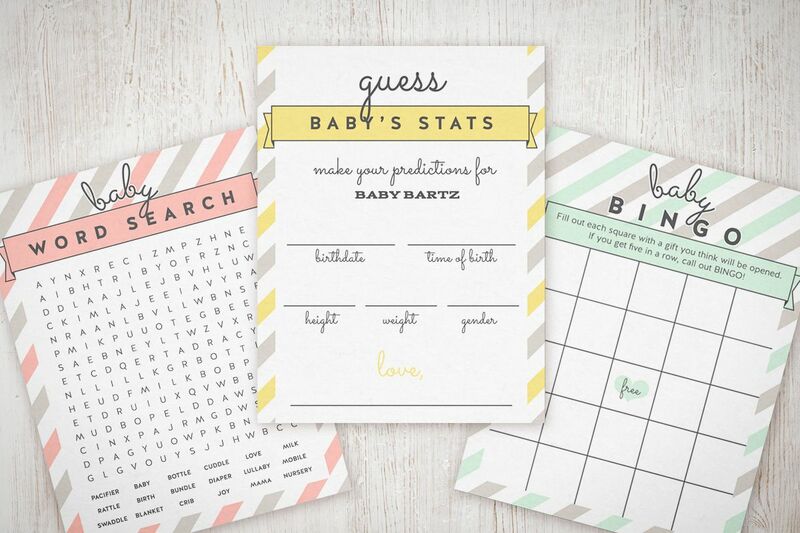 Include any or all of these free printable baby shower games into the shower you're hosting and don't be afraid to make modifications to fit your theme or the mom's to be style. Printing these free baby shower games out on cardstock instead of printer paper or colored paper instead of white can completely change the look and style of the games. You don't have to spend a ton of money on those baby shower game prizes either! Consider giving out small tokens like candles, notecards, chocolate, or even free printable recipe cards. Are you loving these free baby shower games? You can also discover free baby shower printables, baby shower invitations, free baby shower clip art, printable thank you notes, and more games with this list of over 50 free baby shower games. If you want to use this as more than just a time filler, consider timing the guests and giving a prize to the first one who completes the word search. 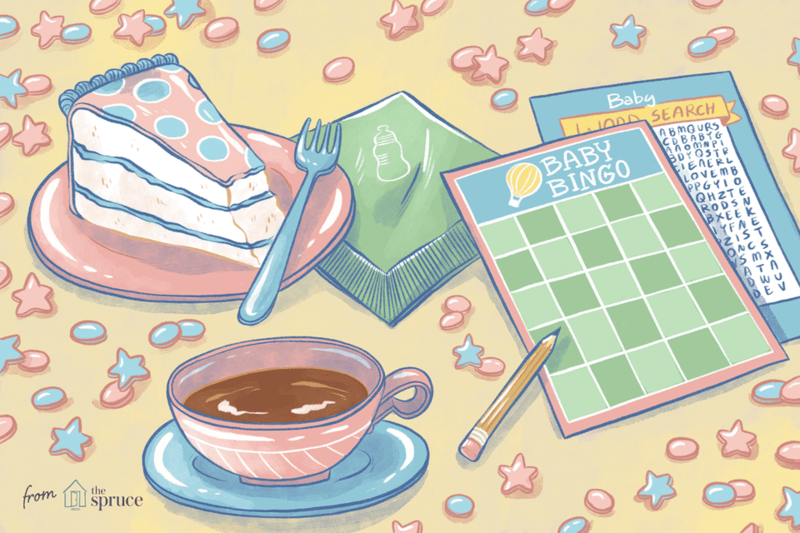 One of the most classic free baby shower games is baby shower bingo. Guests fill in blank bingo cards with gifts they think the mom will receive at the shower. Then guests try to get a bingo as the presents are opened. It's a great game that everyone knows how to play, so don't be afraid to add a twist. Time guests to find out how quick they can unscramble these popular baby terms. There are word scrambles for baby boys, girls, and gender neutral ones. Did you ever play Mad Libs as a kid? This is just like those Mad Libs with the verbs, adjectives, and nouns, but now they're being put into a story about being a new mom, finding out one's pregnant or giving birth. You can also write a Mad Libs yourself that's custom for the guest if you'd like. Project Nursey also has other free, printable baby shower Mad Libs games such as Baby Mad Lib, Pregnancy Journal Mad Libs, and Advice for the New Parent. This cute baby shower game is not one that I've never played although I think it's a perfect fit, especially for those animal themed baby showers. 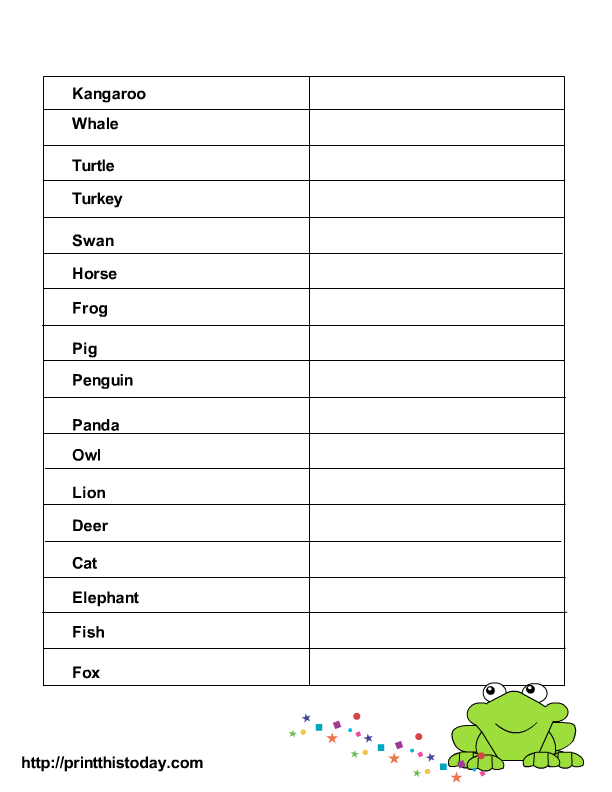 Print out these worksheets and have the guests fill out the name of the baby for each animal. The one who gets the most correct is the winner. There are a few other similar games that may match your theme better such as, Baby Animals from Plan The Perfect Baby Shower, Baby Animal Game from Print This Today, and Baby Animals Game from BabyGiftsAndBaskets. Here's a Name the Nursery Rhyme Game where guests will need to come up with the name of the nursery rhyme that contains the famous phrase. Do you have a mom to be who's crazy about her celebrities? Test her skills as well as all of your guests to see if they know the name of the celebrity babies. Inspiration Made Simple has an easier celebrity baby quiz that includes multiple choice items. This is a fun baby shower game where the guests get points for the items they have in their purse. The guest who has the most points is the winner. Here is a more high stakes Baby Shower Purse Game that may get a little wild. Name tags, which are names of popular baby items, are to be placed on the guests as they enter the baby shower. The guest will need to be referred to by this name the entire baby shower. You can decide what the punishment should be when someone uses a real name. This is more of a keepsake for the mom instead of a baby shower game, but it's still a great activity. Have each guest complete the card to share what they want the new baby to learn, laugh about, create, love, remember, bloom into, dream about, and find. Here are a few other free Wishes for Baby printables. This is a unique baby shower game that should be a lot of fun for your guests. The answers will be titles of popular children's books, but the trick is figuring out which one the question is referring too. This is such a fun baby shower game! See if the guests can match the baby/pregnancy term that most closely matches the name of a candy bar. You can make this baby shower game extra sweet by giving away some of the candy bars as prizes. This free baby shower game is perfect as an icebreaker and will let your guests get to know each other a little bit better. Have each guest go around the room and find out what they have in common with the other guests they may or may not know. Set the timer and get ready for this fast-paced baby shower game! See which one of your guests can come up with a baby-related word for each letter in the word "Congratulations."